From our growth of a small enterprise in a spare bedroom to one of the largest independent first aid training providers in the country we have picked up a number of awards such as the Great Place to Work 2014 and the Cardiac Smart Gold Award. Thanks to all of our hard work and determination we have also been recognised as a diamond approved centre by training organisation TQUK, achieving the highest accredited level a centre can obtain. But that's enough about us for now, continue reading to find out the benefits of paediatric training. When a child is placed in your care, you have a huge responsibility to ensure their welfare. Paediatric First Aid training is perfect for individuals working in schools, nurseries and childcare centres who need to gain an awareness of how to take care of children suffering from injuries or medical conditions. "The course was very informative. Good scenarios adapted to our settings." Many first aid procedures are adapted to suit children because they have a more fragile frame. Learning the correct procedures will prevent further harm to the child. Young children need a responsible adult to step in and help them in an emergency. 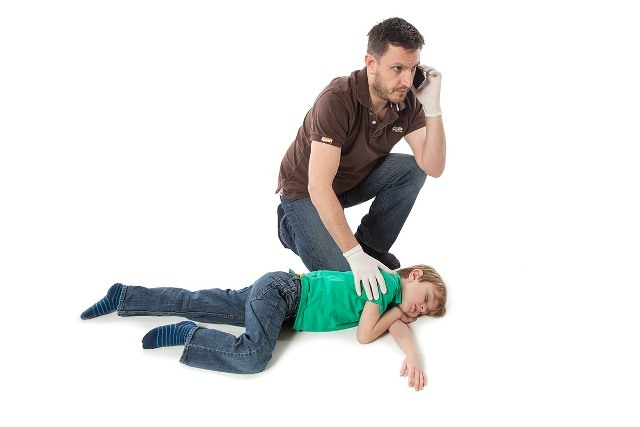 Paediatric First Aid training gives learners the confidence to act quickly and effectively, increasing the child’s chances of making a full recovery. A lot of injuries are recorded during play time at school. Our paediatric courses will teach you how to treat these injuries and break down how to record incidents in an accident report. In more serious cases, the emergency services may not reach the location of the victim in time. Having a qualified first aider on site could mean the difference between life and death. A qualification in Paediatric First Aid looks very impressive on a CV and will help candidates to progress in their career.